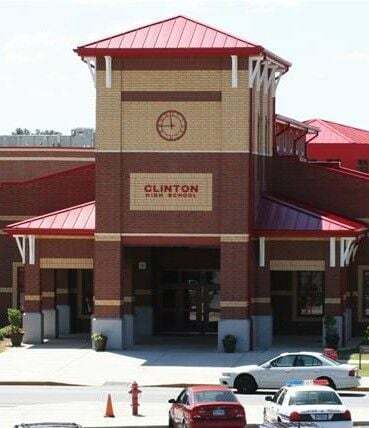 Sara Olivia Stephens and Elizabeth Childress, 2018 graduates of Clinton High School, have been awarded the prestigious South Carolina Teaching Fellowship. Stephens, who will attend College of Charleston, and Childress, who will attend Lander this fall, will be offered numerous professional development opportunities and involved with communities and businesses through various service projects and partnerships with local schools. The state’s Teaching Fellows Program, operated by the Center for Educator Recruitment, Retention, and Advancement (CERRA), was established in 1999 by the SC General Assembly to address the shortage of teachers in our state. The mission of the program is to recruit talented high school seniors into the teaching profession and help them develop leadership qualities. Each year, the program provides Fellowships for up to 200 high school seniors who have exhibited high academic achievement, a history of service to their school and community, and a desire to teach in South Carolina. Applicants for the program undergo a rigorous selection process that includes an online application, an interview and presentation in front of a team of three educators, and a scored response. Following the rigorous selection process, applicants who are awarded a Fellowship receive up to $24,000 in yearly scholarships (up to $6000 a year for four years) to attend a Teaching Fellows Institution in South Carolina. Each Fellow agrees to teach in South Carolina one year for every year he or she receives the Fellowship.